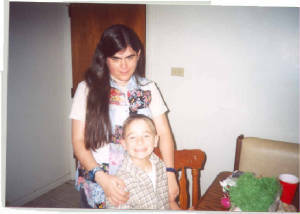 The author "Angel" with nephew Brandon, age 6. 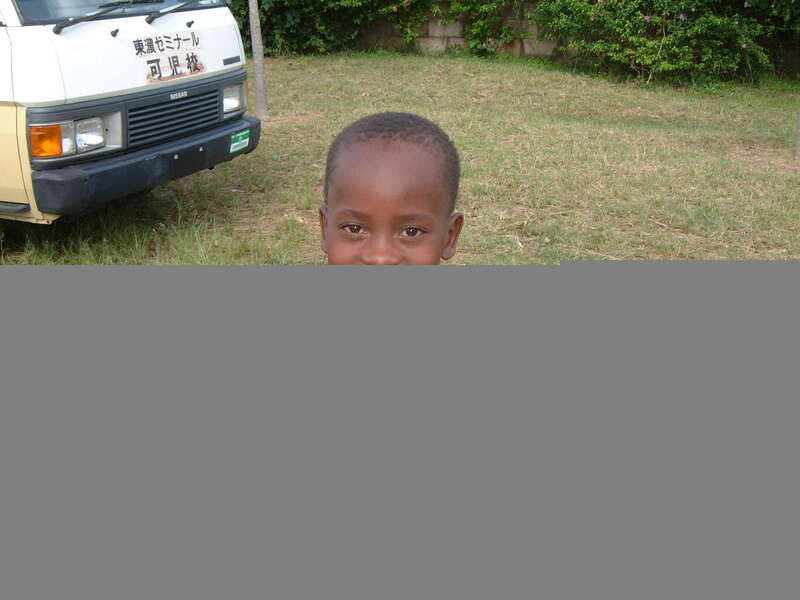 Brandon, my nephew, is the one who And Wake Me With the Morning Light is dedicated to. He is even mentioned in the chapter called "My Story", only he is referred to as "Riley". Brandon is now about to enter first grade. He also just had a new baby sister, Abbie! Used on the cover of And Wake Me With the Morning Light. 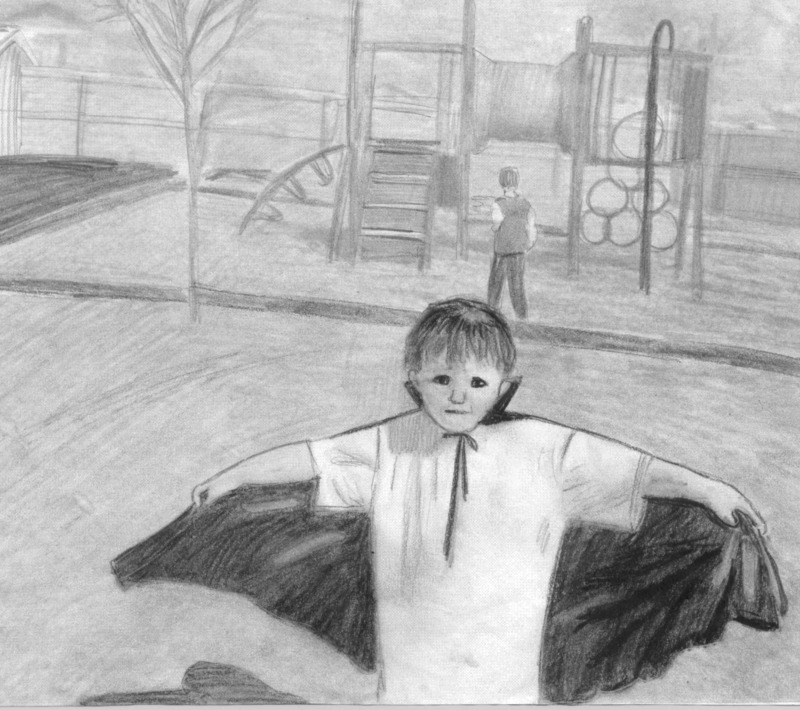 This drawing is actually based on a photograph of the child who was called "Toby" in the book. Some of my best (and worst) memories of AmeriCorps involve Toby!